STONEHAM – Chief Matthew Grafton is pleased to announce that three members of the Stoneham Fire Department dive team participated in a training session with the Massachusetts Water Resources Authority at Spot Pond yesterday. 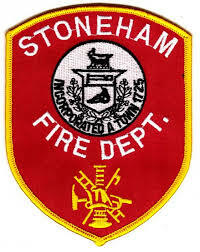 Stoneham’s dive team has been in existence since the early 1980s and consists of 10 members from the fire and police departments — each bringing a unique set of skills and expertise to the group. The team provides mutual aid to surrounding communities, most recently responding to Breakheart Reservation in Saugus for a drowning on July 4. Paul DiLuca from the MWRA and Department of Conservation and Recreation Park Ranger Bill McBrine led Firefighters Mike Labriola and Dave Eastman and Stoneham Police Sgt. Dave Thistle through the training, which focused on locating a pipe from 1900 that connects Spot Pond to Dark Hollow Pond. MRWA officials were looking to verify the pipe’s existence and determine its condition. The dive team hit the water at 12 p.m. on July 19, searching the cove alongside Interstate 93 for the pipe. By 3:30 p.m., the team had exited the water with a small, broken pipe. MWRA officials will need to analyze the pipe to determine if it matches their records. STONEHAM — Chief James McIntyre is pleased to announce that the Stoneham Police Department’s 18th Annual Fishing Derby brought many families to Spot Pond for a day of fun activities outdoors. The Stoneham Police Department’s Community Policing Unit, in collaboration with the Department of Conservation and Recreation, Massachusetts Anglers Education Program and the American Legion Post 115 hosted the event on June 24. From 9 a.m. to 1 p.m., attendees could learn how to fish for free in a non-competitive atmosphere. Equipment and bait were provided to those without their own supplies. Through the generosity of local businesses, children taking part in the derby received a free t-shirt, barbecue lunch, beverages and raffle prizes. Despite the early morning rain, there were nearly 400 people participating in the event with over 200 children receiving t-shirts and prizes. The artwork featured on this year’s t-shirt was drawn by Terrence Moynihan, an eighth grade student at Stoneham Central Middle School. Chief McIntyre would also like to thank the following sponsors whose generosity made the event a great success: StonehamBank, Stop and Shop Supermarket, Salem Five Bank, American Legion Post 115, BJ’s Wholesale Club, Electrical Associates, LLC, Honey Dew Donuts, Rapid Liquors, New England Spring Water, Coca-Cola, Piantedosi Baking Company, Kayem Foods, and Pepsi. STONEHAM — Chief James McIntyre is pleased to announce that the 17th Annual Fishing Derby at Spot Pond was the most successful it’s been in recent years, with more than 400 people in attendance. The Stoneham Police Department’s Community Policing Unit, along with the Department of Conservation and Recreation, Massachusetts Division of Fisheries and Wildlife, Massachusetts Anglers Education Program and the American Legion Post 115 hosted the June 11 event. From 9 a.m. to 1 p.m., attendees could learn how to fish for free in a non-competitive atmosphere. Equipment and bait were provided to those without their own supplies. Through the generosity of local businesses, more than 200 children taking part in the derby received a free t-shirt, barbecue lunch, beverages and raffle prizes. Chief McIntyre would also like to recognize the following sponsors who made the derby possible this year: Stoneham Bank, Super Stop and Shop Supermarket, Stoneham Ford, Pinelli & Patalano PC, American Legion Post 115, BJ’s Wholesale Club, Electrical Associates LLC, Honey Dew Donuts, Coca-Cola, Piantedosi Bakery Company, Russo’s Marine, Lapery Painting, Kayem Foods and Pepsi.